There’s Loch a Phuil, Loch Bhasapoll, Loch an Eilein, Loch a Chlair and Loch Riaghain. There are several more small lochs and lochens on the Isle of Tiree. This evening, for 1 night only, there is also Loch Alainn. 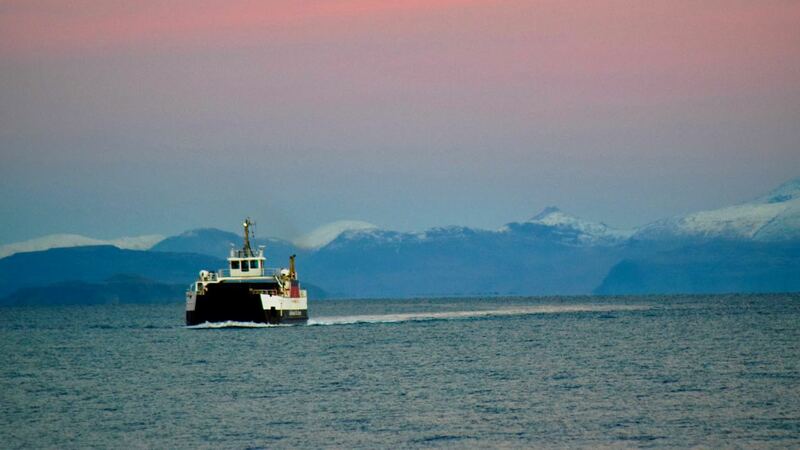 This evening this Loch Class ferry crossed over from Barra to Tiree. En route she came through the Gunna Sound. Tomorrow morning, around 8:00am she heads south from Tiree. The understanding is that she is en route for her annual overhaul. Her movements can be followed on Marine Traffic. 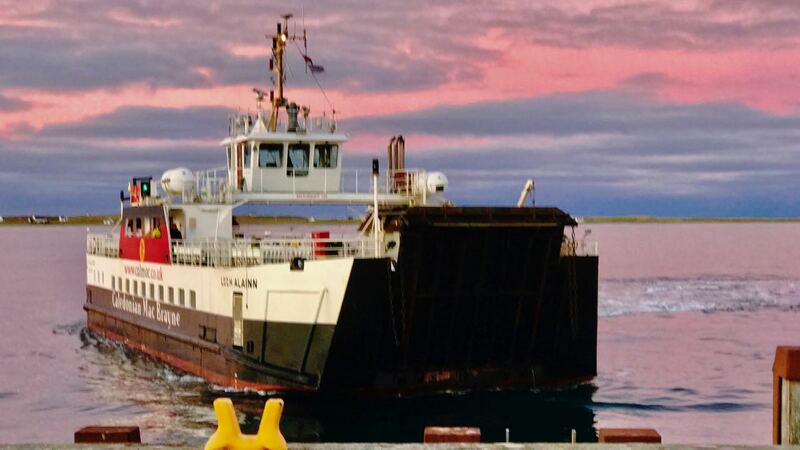 This evening she is shown berthed at Tiree. She came through the Gunna Sound as the sun was setting in the west. It is most unusual for a Loch Class vessel to come into Tiree. There is a good reason – we have a pier and not a slipway. It was interesting watching this diminutive vessel pass in front of Ben More. By the time she entered the calm waters of Gott Bay the sun had set. Both sky and sea were transfigured. What a day it has been for the unusual. Here in Scarinish the car windows were frozen. However, this morning white sheep were grazing in white fields. Once again this week the air has been so still. There has hardly been a breath of wind. The grass hangs limp in the cold. 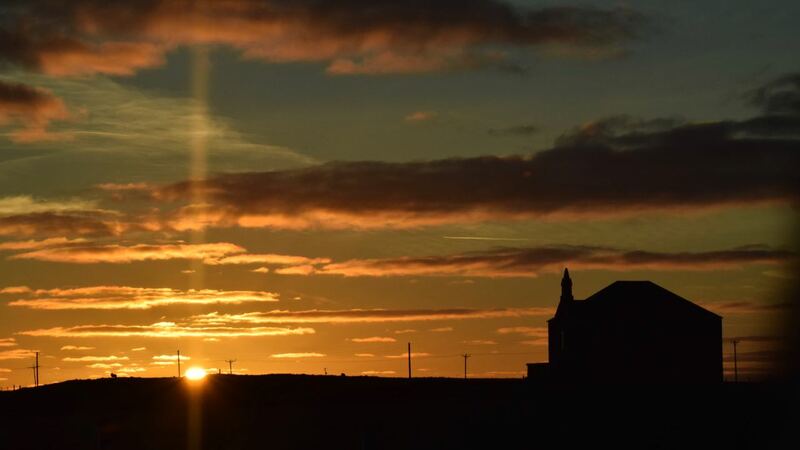 Once again today we woke to a beautiful sunrise. 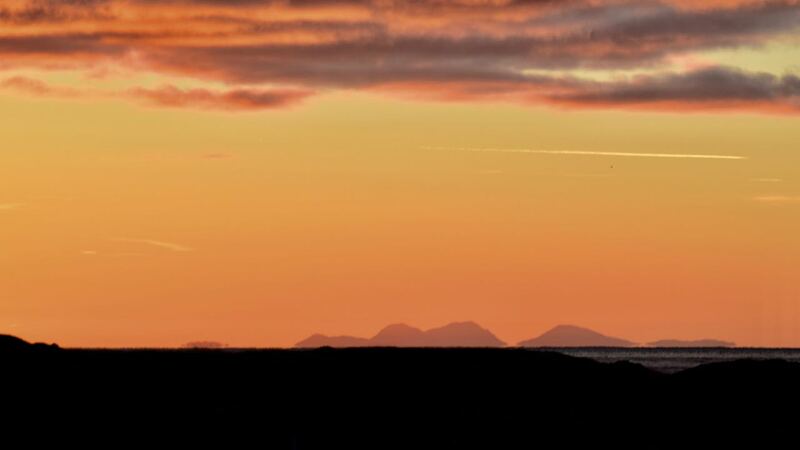 Once again the Paps of Jura sat in a red sky. What a sight at breakfast time.